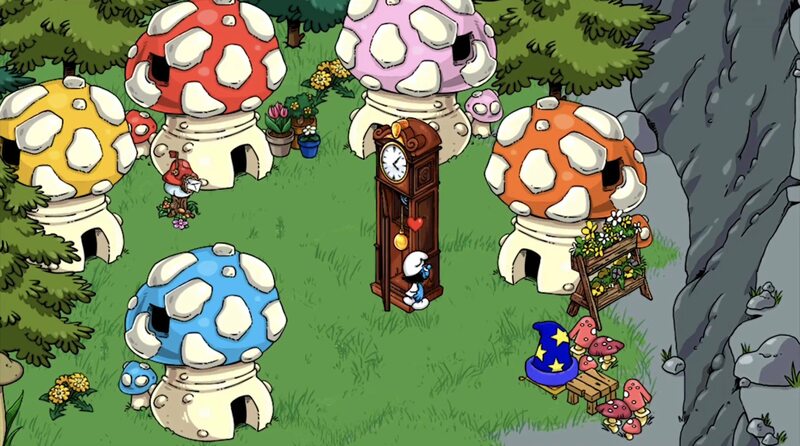 Smurfs' Village iOS version 1.67.0 is live and available for download! This is a Smurfical update... I would like to know what items have been added to Rarity and the Mini-Games. Still hoping for some of the earlier items... like Blue and Purple Crab, the missing color for Mouse in a hole and Squirrel in log. Is there any chance that Bongfish might offer past complementary gifts, like the yearly statues or holiday gifts? One new thing is the ice tree for the mv and mountain. Y3nzid_Raxip But same as you I'm interested in knowing what was added. New stuff I’ve come across so far is Fuzzle Tree, Glowing Ice Tree, Ice Spider, Helium Balloon Ride, Smurfy Flying Contraption and The Lemur Family. These were all in the Rarity Shop, haven’t come across any new prizes in mini games yet. Addition: Today I also got Bucky Bunny and the Hamster Ball. Last edited by cosmickitten; 09-07-2018, 12:51 AM. Nothing of major interest for me, but the fuzzle tree and lemur family sound good. I have several ice spiders already because of the boxes and am not crazy about the other items either, but fuzzles and lemurs are nice. I'm surprised the fuzzles tree made it. That is relatively new! Does the Alchemy Table do anything when tapped? My bookshelves are animated (a book flies out) but nada on the table. I just came here to check if somebody wrote something about that too! The table is pretty, but I don't know yet if I want to buy it... berries for a table is a bit meh if it doesn't do anything. I just rewatched th video to see if we have an animation shown but nothing. When you say a book flies out you mean it like that, right? Not just the swishy blue bit that flies around? Hey, Ninja Rat is animated again - thank you, Bongfish! Last edited by Chat noir; 09-06-2018, 11:49 PM. One of Scaredy's new prizes is the twisted Halloween tree. The first stage of Wonder is so adorable. Smurf moving boxes with his stick. i wish the dark haired smurfette was available for smurfberries. Such a shame. Where do I find these huts from the trailer? 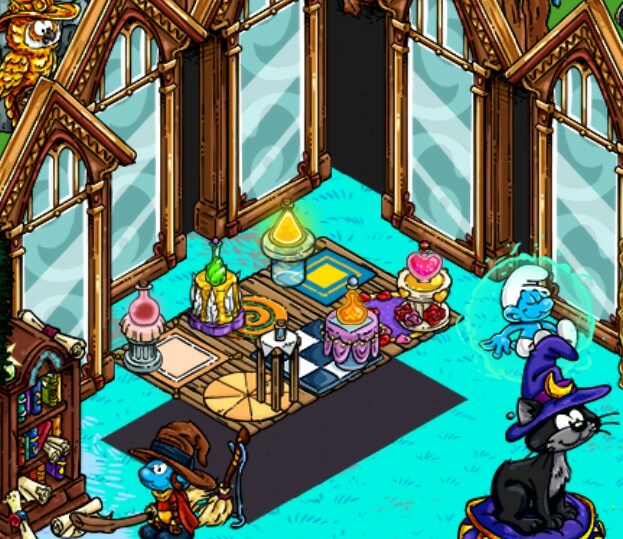 I thought that maybe they’re hut customizations but I couldn’t find anything..
it's the picture. happy 60th anniversary!! I love the new stuff in the older games. Did i mention I love this update?! Bongfish shurely have outdone themselves! I love this update! I can tell you developers worked hard on it! I like how pretty much every new item (even coin items) has an animation even when it isn't being used by a smurf. 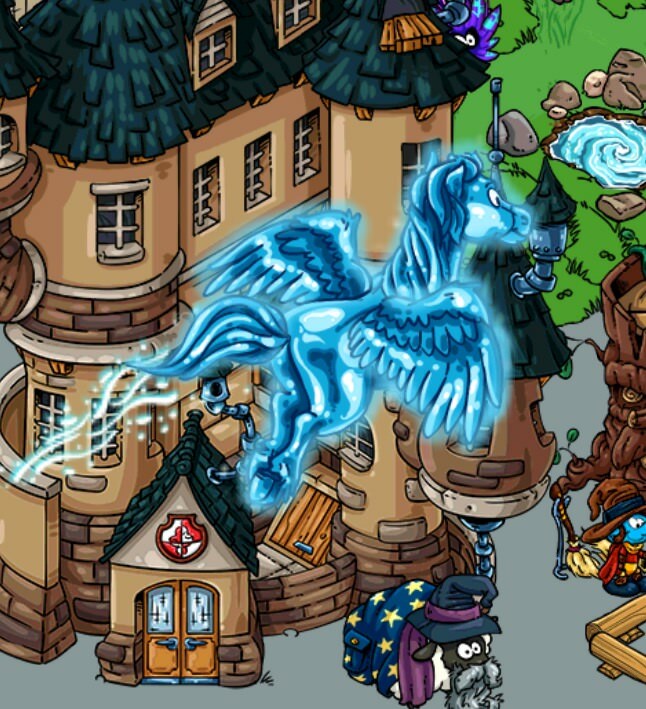 IMO, the wizardry school is also the best smurfy wonder. Truly a bewitching update! 🍄Get both of these 60th Anniversary items as part of a smurfy Exclusive Offer Bundle! Classic Smurfette will be available on Sunday, September 9th, 2018, and the paintable Classic Smurf Hut will be the following day, on Monday, September 10th, 2018. Spelling Bee Are the huts storable, Ms. Bee? 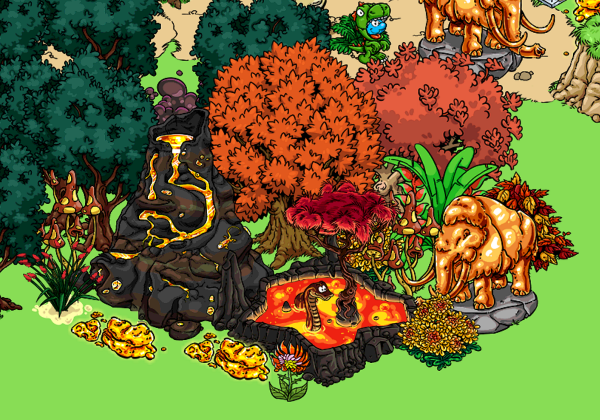 The magma pond with the snake is in the Rarity Shop as well! That is so cute!! I just don't know where to place it... Planet or island? The island has a volcano so maybe there? But I don't quite know how to use it / decorate it. Who of you owns it and has done something with it? Any suggestions? Does anyone want to show what they did with it? Or describe it? Very clumsy, but that is its first welcome. I hope I can come up with a nice way of decorating it. Last edited by Evanna; 09-08-2018, 02:55 PM. That is a cute snake! I think Purple! had a pretty epic area where the snake was placed with Sorcerer Smurf. Please post a follow-up pic once you've finished decorating... you do some lovely little set pieces! Hi, i'm evil black hair Smurfette and now i'm here in the Smurfs' Village to destroy it for my master Gargamel! my plan is to make the village drown by opening the gate of their dam. but where's the dam.......? Last edited by yosinori saitou; 09-09-2018, 05:41 AM. This is the most excited I have ever been about a new Smurfette being added to our game! Oh, and yes, we need the dam for her to destroy! Yes!! Where is the Dam!!?? 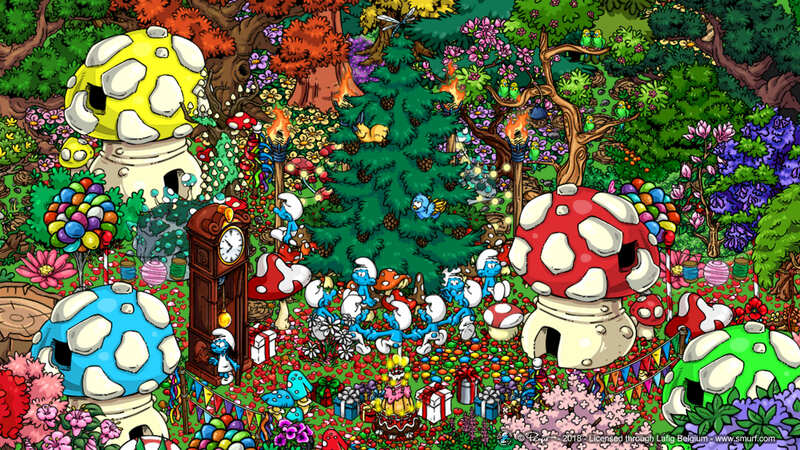 It is such a significant part of the Smurfs Universe, both the comics and cartoons!! Stunning, Morning Sky ! Very clever make believe. Those potions are powerful, for sure. What a pretty area! I love the floating potion table, the shadow makes it look 3D!! I agree, the potions go great with this theme!